Who’s joining Fred and Carrie in Oregon? This week, IFC announced the guest stars for season seven of Portlandia. The long-running sketch comedy show stars Fred Armisen and Carrie Brownstein as various characters living in Portland, Oregon. Season seven’s guests will include Abbi Jacobson, Laurie Metcalf, Judy Greer, The B-52s, and More Join Returning Guest Stars Vanessa Bayer, Steve Buscemi, Natasha Lyonne, Kumail Nanjiani, and Kyle MacLachlan. The new season of Portlandia begins on January 5th at 10 p.m. ET/PT. NEW YORK – December 20, 2016 – IFC today announced details and guest stars for Season 7 of the Emmy(R)-nominated comedy Portlandia, premiering on Thursday, January 5 at 10PM. Season 7 will consist of 10 half-hour episodes and marks the television directorial debut of both Fred Armisen and Carrie Brownstein. Created by Armisen, Brownstein and Jonathan Krisel, Portlandia explores the eccentric misfits who embody the foibles of modern culture. The series is executive produced by Lorne Michaels and produced by Broadway Video. What do you think? Are you a fan of Portlandia? Are you excited for the new season? More about: IFC TV shows: canceled or renewed?, Portlandia, Portlandia: canceled or renewed? Portlandia: Is the IFC TV Show Cancelled or Renewed for Season Nine? 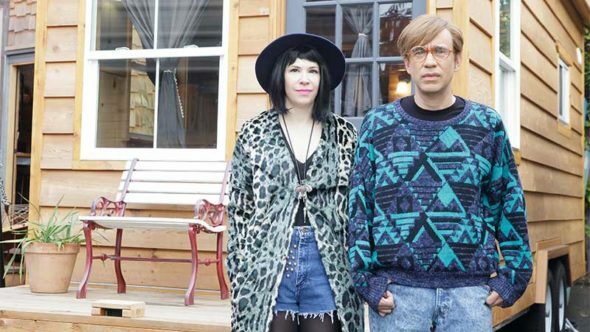 Portlandia: Could There Be a Spin-off Instead of Season Nine?